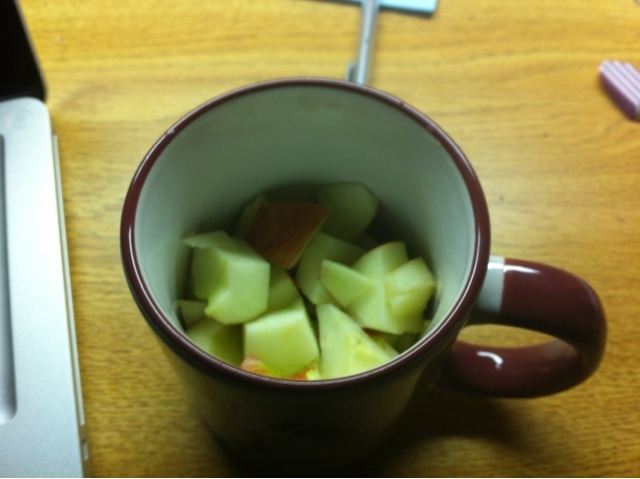 emily lam | blog: Apples! It's apple season in New England! And you know what that means? Real, fresh apples. Farm-picked fresh. There are many places here in New England you can go apple picking. I went to Parlee Farms, in Tyngsborough, MA, to pick my apples. I'm not really an apple person, but when it's apple season, I am. 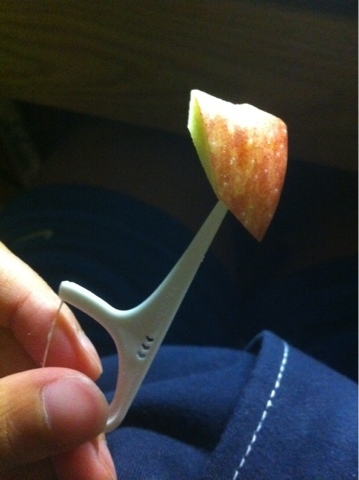 Today, I ate one of those fresh apples, in a rather odd way. Sometimes putting more effort into something makes it more enjoyable. And then because I don't have a toothpick, I used a dental floss pick as my utensil of choice. I am weird, I know.